Harling Fantasy Hockey: Will the Ottawa Senators Be Buyers at The Trade Deadline? 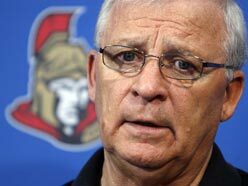 Will the Ottawa Senators Be Buyers at The Trade Deadline? Currently the Sens hold the fifth overall seed in the Eastern conference with 58 points and enjoy a comfortable nine point cushion over the ninth place Toronto Maple Leafs. The NHL trade deadline is February 27th and Pierre Lebrun of ESPN also spoke to Murray about the upcoming deadline. When Asked if he would be adding players Murray said, “Yes, if we continue to get wins over the next month or so, you want to give your players the best chance you can. I'd be wrong if I didn't think that some of these older guys on our team didn't deserve a chance to be helped going into the playoffs, if that's where we end up." The Sens have plenty of good reason to take their chances of a successful playoff run seriously. They are playing very well and the team has good chemistry. There is a nice blend of veteran players and youth who have playoff experience. Jason Spezza, Daniel Alfredsson, Chris Phillips and Chris Neil all played key roles on the Sens ’07 Stanley Cup finals loss to the Anaheim Ducks. Defenseman Sergei Gonchar has played 118 career playoff games, and won the Stanley Cup with Pittsburgh in ’09. Last season the Sens AHL affiliate Binghamton Senators won the Calder Cup Championship. Several key players from that championship roster are now playing with the Ottawa Senators. Zack Smith, Kaspars Daugavins, Colin Greening, Bobby Butler, Eric Condra, and Jared Cowen have all made the jump to the NHL, and have brought their winning ways with them. It is still a little early to get a clear picture of what teams will be sellers, and who will be buyers. The most likely teams at this time are Anaheim, Edmonton, and Columbus in the West, and Buffalo, Carolina, Montreal, New York Islanders, and Tampa Bay in the East. “We look at teams that look like they are going to have a tough time down the stretch to make the playoffs, and then we take players on that team that may be unrestricted or available”. Players who fit that description right now are P.A. Parenteau, Steve Staios, Tim Gleason, Jason Blake, Niklas Hagman, Ales Hemsky, Andy Sutton, Kristian Huselius, Samuel Phalsson, Vaclav Prospal, and Derek Brassard. No doubt these players will be shopped by their current team, but there will be several other players who will be available. The Senators have plenty of good young players in the system to deal with. Stephane Da Costa, Stefan Noesen, Matt Puempel, Jakob Silfverberg, Mark Stone, and Patrick Wiercioch are all making progress, and with Mika Zibanejad also in the system the Sens prospect cupboard is well stocked. Murray is well positioned to trade off draft choices for a depth player, and if necessary one or two of their prospects in order to try to win now. “They’re not going to help us this year in all likelihood” Murray said of his prospects. Posted by pharling at 4:33 p.m.
MattP January 20, 2012 at 2:02 p.m. I will be interested to see if the Sens make a move. If they stay healthy it will be hard to justify messing with the winning chemistry. None of the players listed, or the ones I have read elsewhere are a real upgrade to what they have now. Perhaps Andy Sutton would provide the grit and fit in well. Outside of Colin Greening, who I think is still punching above his weight class, everyone is well cast in their roles.